We have a large selection of Animal Hats at Dinosaur Corporation! 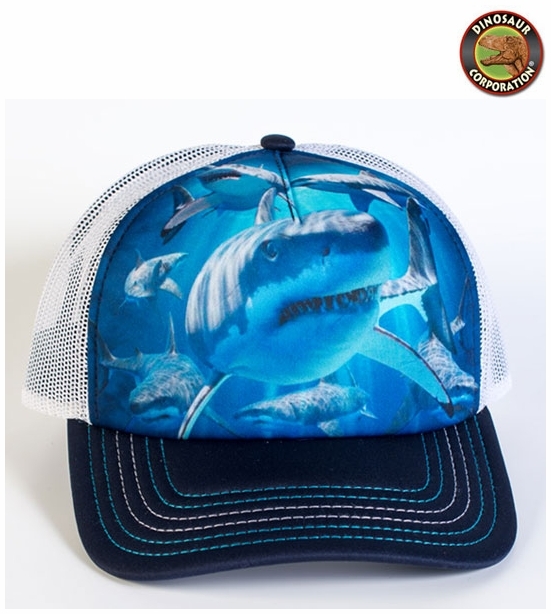 You will find top quality Animal Caps with many designs of Sharkss. These shark caps are produced using sustainable environmental and social practices and are of the highest quality. Assembled from 100% polyester and featuring a plastic snap closure, these five-panel hats are a pro style mesh back product, sport a pre-curved visor, a structured foam front, and a fully sublimated poly twill front panel.